In most Hollywood films Russian villains are dead-behind-the-eyes sinister looking blokes. I expected that to be a stereotype, but no, the villains in Russian films are very much dead-behind-the-eyes sinister looking blokes. The Interceptor begins in a farfetched fashion, a shaven headed man is injured, wandering around like a drunk orang-utan through Morrisons produce section. He finds himself in a plane, and when he gets to the cockpit he discovers the plane is stuck in auto-pilot mode and that he is the only one on board. The man staggers about a bit, a raspberry jam-like splodge on the side of his face, he moans and groans, evidently feeling his wounds, and then he recklessly rips open a panel to find an explosive timed device, the countdown heads down to zero. He opens a hatch and jumps out of the plane just as it goes boom. Somehow this man survives falling several thousand feet without the aid of a parachute, he crashes through dense woodland and falls to the floor, barely alive. The Interceptor is an odd mix of action and sci-fi, and after a prolonged credit sequence we learn that an evil force (named Konkere?) wants to destroy the earth, and in order to achieve this goal this force infiltrates the minds of Russian government members and high profile businessman. A vigilante group called ‘Stop Crime’ backed by the forces of ‘good’ (we know they’re good because they dress in white) aim to stop the evil forces from doing these nasty deeds. They enlist the help of the shaven headed man, who we find is called Matvey, because he is the ‘chosen one’. Kurylo is the bad guy of the piece, driven by the evil force that has control of his mind. He’s actually not very scary, or menacing, and he never really seems much of a threat. Usually Russian villains in Hollywood films are scary; the villain in this Russian film the main villain is a bit of a soft touch, even though he is merely a vehicle for the evil that is controlling him. In fact to make things even harder for Kurylo our hero Matvey seems to have an aura of invincibility about him, surviving the fall from the plane, dodging bullets like Neo and quickly regaining his bearings after being shocked by the evil force. He’s even cold enough not to get broken up about the death of his former lover. 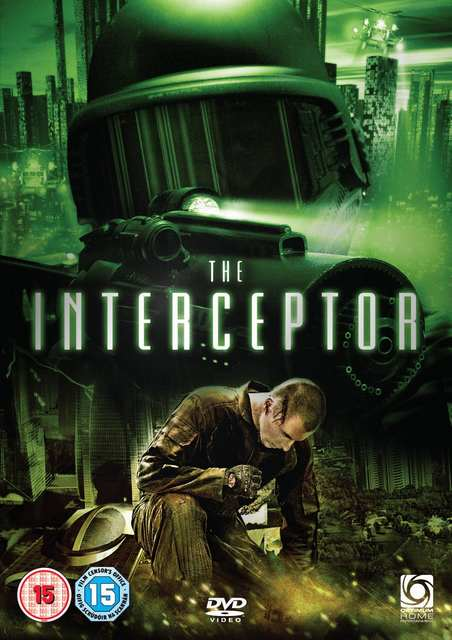 The Interceptor is a difficult film to follow, and though some of the slo-mo Matrix-y action sequences are impressive enough (If I was to highlight one scene then it would be the fight scene from the warehouse), the fact that the plot is unnecessarily complicated (and not in a pseudo-intellectual way) means that the film is hard to truly immerse yourself in. However, this is also the great thing about The Interceptor, and that after reading other reviews and comments about the film, it appears that I am not alone, and anyone who has watched this film for the first time appears to have no idea what on earth is going on. This might be because it is an adaptation of a novel by sci-fi writer Vasili Golovachov, and just maybe it is one of those adaptations that have overlooked key parts of the novel. We’ve probably got the beginning and the end, but we’re missing significant chunks from the middle. This entry was posted in Reviews and tagged action movie, sci-fi. Bookmark the permalink.